Interested In This $250,000 Part-Time Chief Financial Officer Position? This 100-year old trucking company located in the Pacific Northwest is offering $250,000 for a part-time, Chief Financial Officer willing to commit twenty to thirty hours per week onsite. 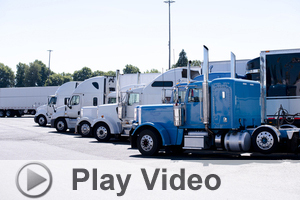 With a fleet of sixty tractor trailers and sixty-five employees this engagement requires trucking industry experience. For more information about this multiple six-figure Chief Financial Officer part-time engagement please call 1 (888) 326-9300. GoodAccountants.com is an online, accounting marketplace which matches companies looking for Audit, Tax, and Chief Financial Officer services, with local accountants. In its sixteenth year of operations, GoodAccountants. com is the nation’s largest accountancy referral service and the U.S. accounting industry’s largest advertising aggregator. Be the first to comment on "Interested In This $250,000 Part-Time Chief Financial Officer Position?"